Online tee times are not availabile for Golfe de Amarante. The Amarante Golf Course is a 18 hole course located at the Quinta da Deveza which is close to the town of Amarante. The surroundings is most attractive with beautiful hills and vineyard terraced slopes on the River Tamego. The topographical nature of the terrain and due to the course being 600 metres in altitude, the fairways mainly slope upwards or downwards. Due to this factor there are seven Par 3 holes and three Par 5 holes. The course is not difficult to play but be warned of fast greens, the majority of which are somewhat short in depth. 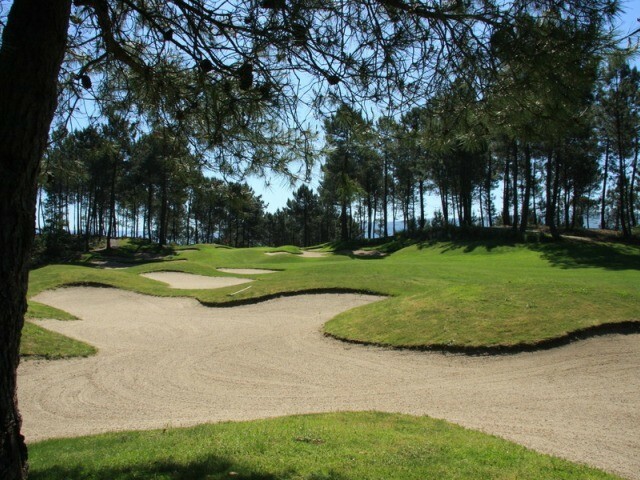 The first hole fairway on the Amarante Course slopes steeply downwards and is a Par 5 of 495 meters. In contrast the eighteenth of a Par 5 of 447 metres is steeply uphill. The twelfth hole is a Par 5 of 455 meters and requires a strong tee shot to carry the lake on the right, whilst a wayward shot to the left will take the ball out-of-bounds. Just to test the player the green is surrounded by four very inviting bunkers. To post a review, score or a notice on Golfe de Amarante page's or to connect with other Golfe de Amarante golfers, please log in to your account or sign up using Google or Facebook.